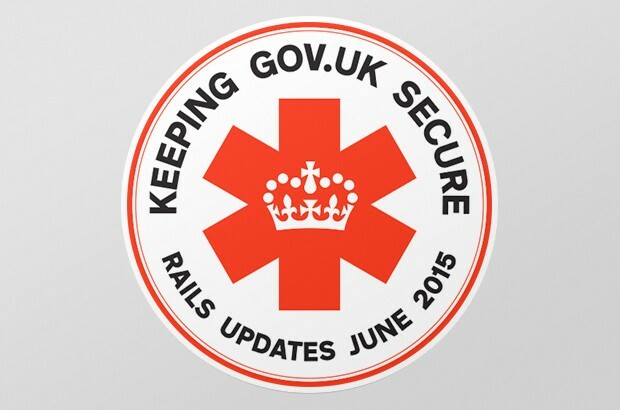 Last Wednesday, GOV.UK’s team of 22 developers upgraded and re-deployed a record 54 applications in just 6 hours. This was to deal with a potential security threat discovered in the software we use (Ruby on Rails and some dependent libraries). On a normal day, we deploy somewhere between 2 to 10 times. It was a remarkable achievement - not just because we responded to the security alert so quickly, but also because of the way we did it. It was an impressive demonstration of what happens when a team self-organises to solve a problem. Triage of 78 applications started immediately. Developers decided to work in the teams we’re moving to soon, making responsibility for the applications clearer and more evenly split. They created a dedicated Slack channel and Trello board to keep everyone up to date, tracking progress in real time. It illustrates the ways in which we have set ourselves up to do things quickly, and the importance of things like regular releases, self-service deployment by teams, end-to-end ownership of applications and autonomy. And it was a testament to the dedication and work ethic of our small and passionate team. We’re here because we care about public services. Our first responsibility is to keep GOV.UK available, accurate, fast and safe - and we’ll always prioritise that over everything else. This is the kind of behind-the-scenes work that keeps us busy but we rarely talk about. We’re sharing it to assure you that the nation’s website is in the very best hands! Lindsey Keighley is the Programme Delivery manager on GOV.UK. Keep in touch: follow Lindsey on Twitter and subscribe to email alerts from this blog.